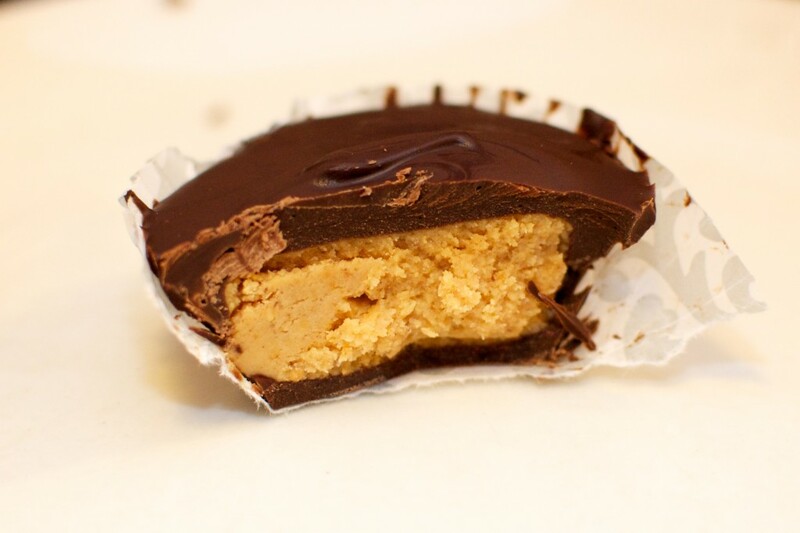 One thing I’ve missed since going vegan are Reese’s Peanut Butter Cups. They are reminiscent of my adventures in trick-or-treating on Halloween and were always a joy to pop into my mouth, savoring each bite. Luckily, I recently discovered Jennifer and Nathan Winograd‘s new book, All-American Vegan. Not only does the book have some amazing recipes of all the comfort foods many Americans enjoy (veganized! ), but it covers issues such as shelter animals, the art of vegan substitution, important moments in vegan history, and humorous bits such as “Things Vegans Should NEVER Say When Discussing Veganism with Non-Vegans.” I was also impressed with Nathan Winograd’s history in the no-kill shelter movement, particularly starting it at my local SPCA shelter years ago. It is refreshing to see an “animal lover” who really does practice what he preaches in all aspects of his life (and not just with companion animals). 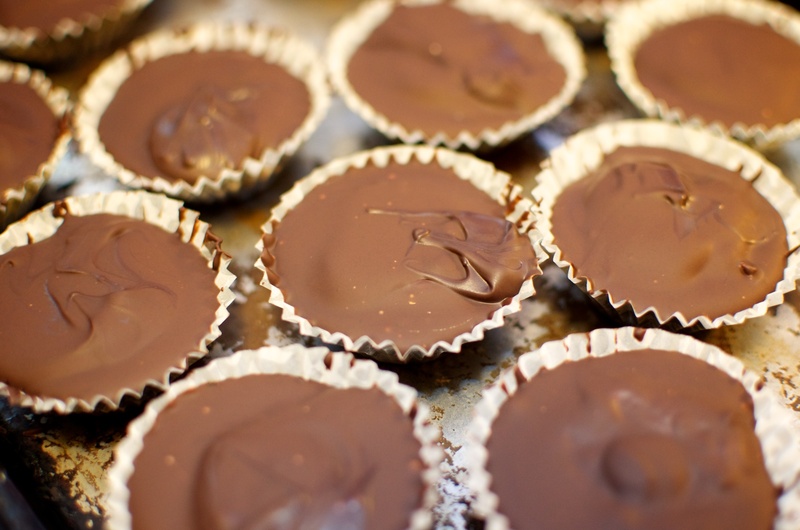 This recipe is so simple and amazingly delicious that it is enough just to buy the book for the peanut butter cup recipe alone! 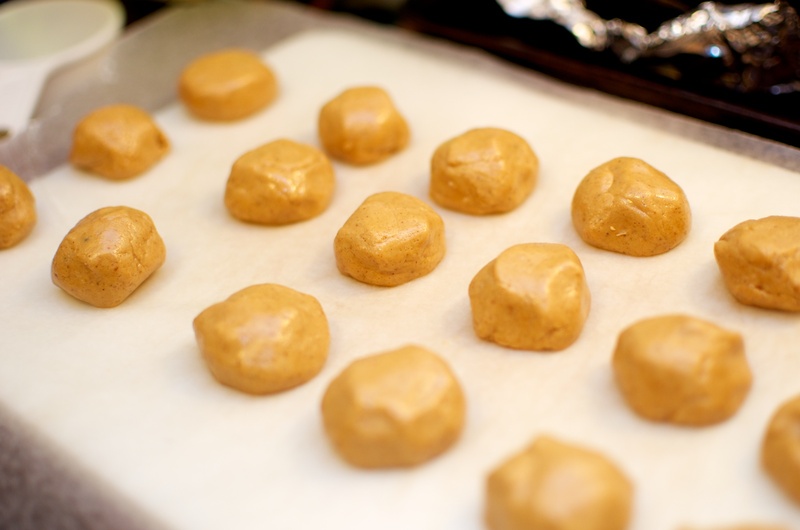 I was so excited after I first made them, that I made several batches to give to friends and family as gifts. 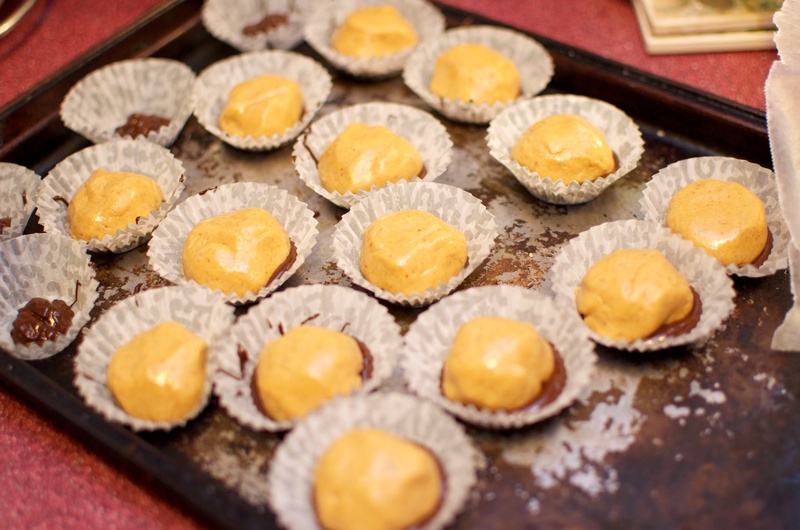 The filling had the right consistency and blend of savory/salt and sweet flavor. My omni husband even said they were better than Reese’s because they had more peanut butter. 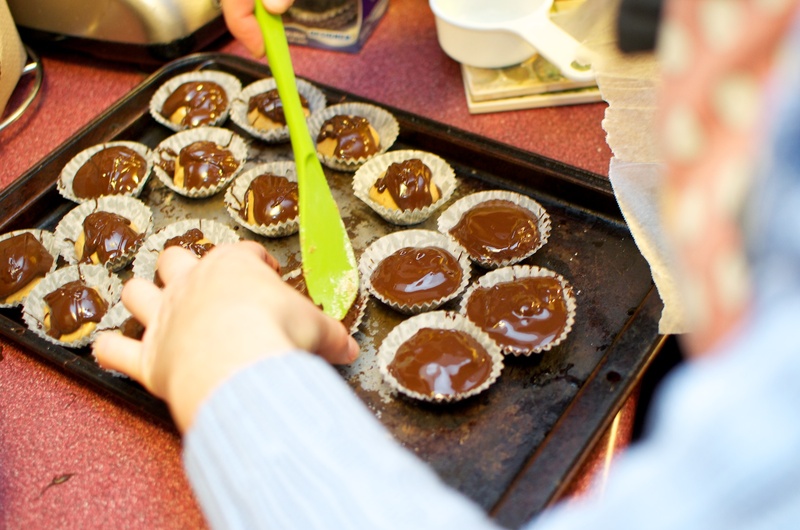 See the various stages of my candy-making below. I used Enjoy Life! 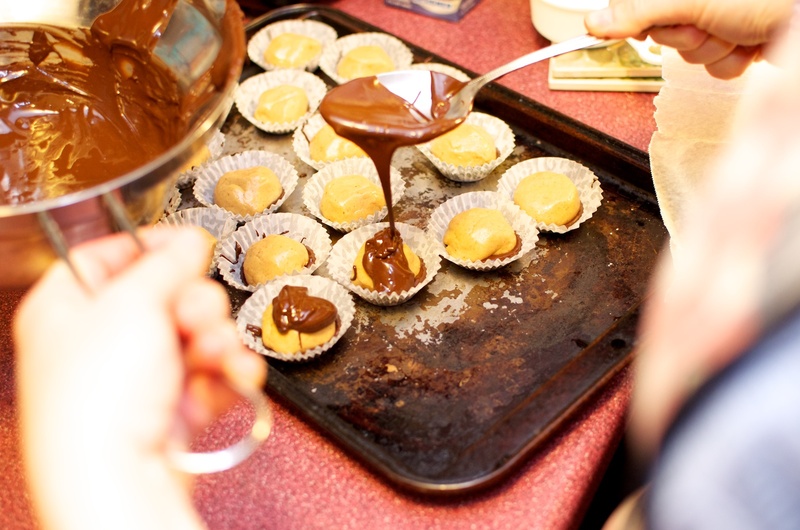 Mini Chips (melted) for the chocolate coating. They are dairy-free, soy-free, gluten-free and my favorite chocolate chip to cook with. A new era has begun for me and vegan desserts. Oh my! 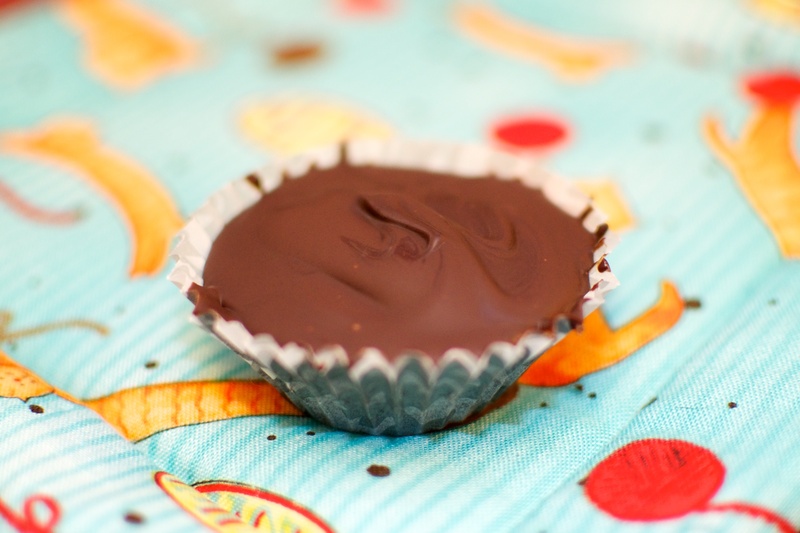 These peanut butter cups definitely earn a strong 5 out of 5 carrots on the veganlicious scale!